This richly spiced but not spicy red lentil soup is made thicker and heartier by the addition of cauliflower rice. 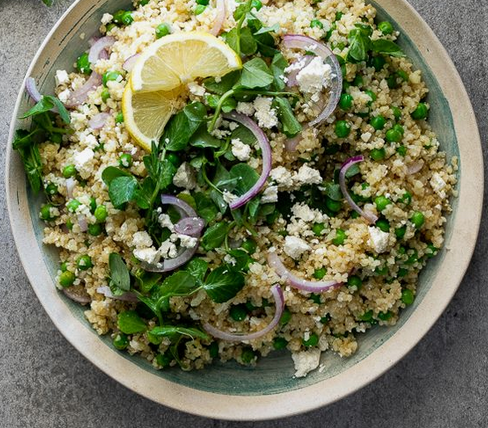 It’s a complete vegan meal in a bowl, but serve it with a little naan or pita bread if you like. I take recipe inspiration wherever I can find it–meals in restaurants, descriptions in novels, even online menus for college cafeterias. But twice now I’ve gotten ideas from a friend of mine, Maureen, who didn’t realize at the time that she was contributing to this blog. The first time was 12 years ago, when my daughter had dinner at her house and came home raving about the meal, particularly the coconut rice. Unfortunately, when I wrote about the recipe for my blog, I neglected to say how I found the recipe, so Maureen was never credited. 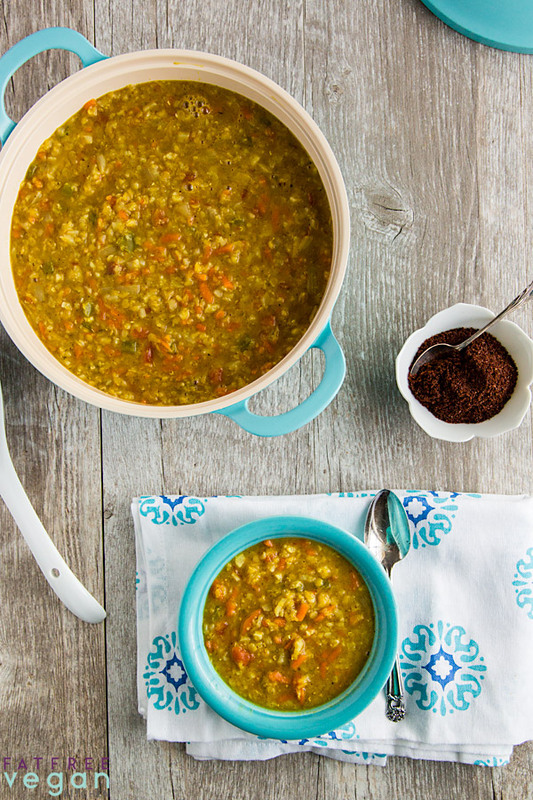 This time, I’m giving Maureen full credit for inspiring me to buy red lentils and make this soup. We were chatting and she mentioned that she hadn’t been able to buy red lentils for dinner. Right at that moment, my daughter texted me that she was headed to the Indian grocery store–did I want anything? “Red split lentils!” I texted back immediately, not to rub in the fact that Maureen was without lentils but because just that quickly I developed a craving for them. We continued to talk about the uses of red lentils, and Maureen mentioned a soup in one of the Moosewood books, I think Moosewood Restaurant Cooks at Home, that contained carrots and tomatoes and that she adapted to her family’s tastes. When I got home to check, I found that that book has two red lentil recipes, but only one of them had tomatoes. It’s been a long time since I’ve made anything exactly as dictated by a recipe, but I decided that night to give the Moosewood Red Lentil Soup with tomatoes a try, as written, except for the oil. It was a moderate success. I needed to increase the spices a little at the end, and I served it over rice to make it heartier, but my family enjoyed it, with the feeling that it needed a little something. A few days later I decided to try it again, this time really increasing the seasoning and adding riced cauliflower to it. 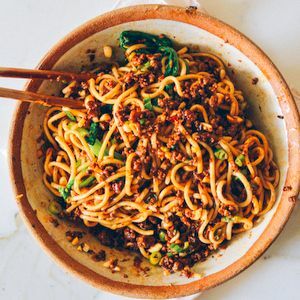 I kept what I loved about the original recipe, the shredded carrots, and switched out canned tomatoes with green chilies for the fresh tomato in the original. It was a huge hit. 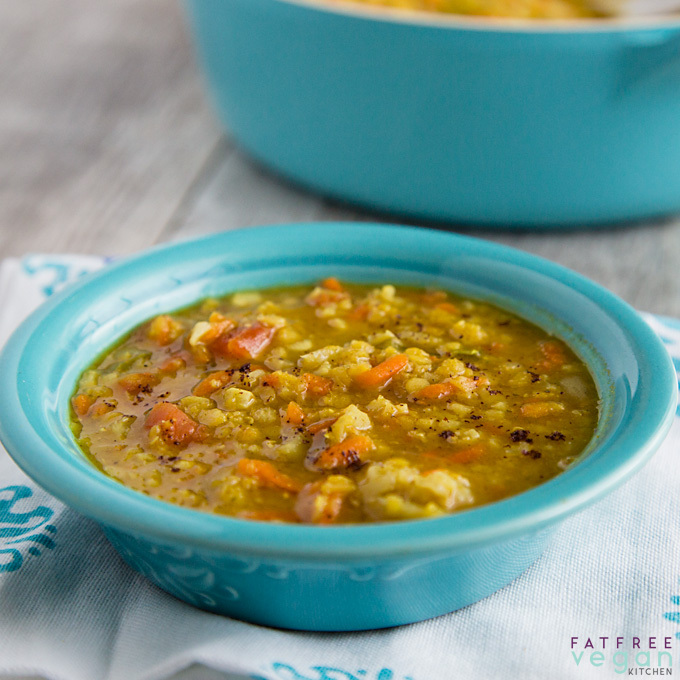 My husband loved it, and my daughter, who originally balked at the idea of having red lentil soup two times in the same week, went back for seconds and even wanted some for lunch the next day. Thank you, Maureen, for the inspiration! The secret, it turned out, was adding just a little bit of garam masala right before serving. Like the lemon juice, garam masala, in small amounts, brightens the flavors, adding a hint of spice but not overwhelming the other flavors. I make my own, but you can buy it from a spice store or Indian grocery if you prefer. 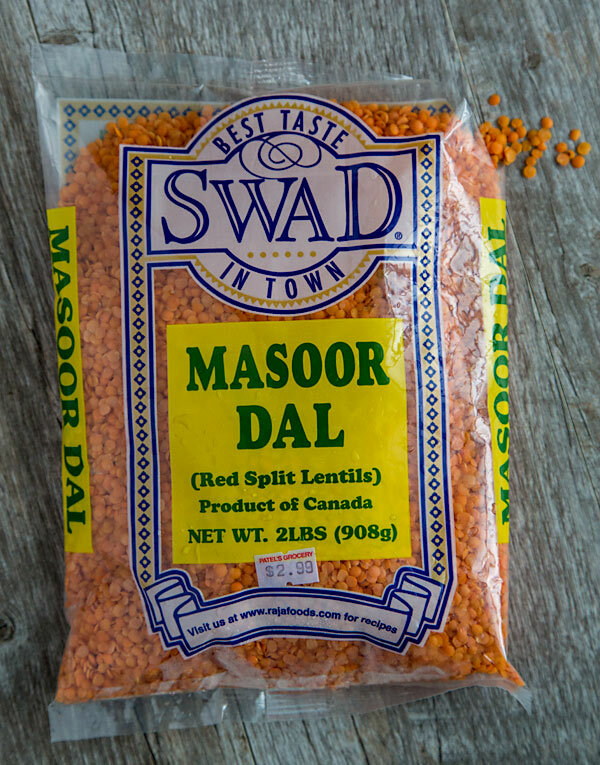 The red lentils I use are these red split lentils from the Indian grocery. As you can see from the price, they are inexpensive if you can buy them locally, but if you can’t find them, Amazon has a few reasonable choices, with free shipping for Prime members. 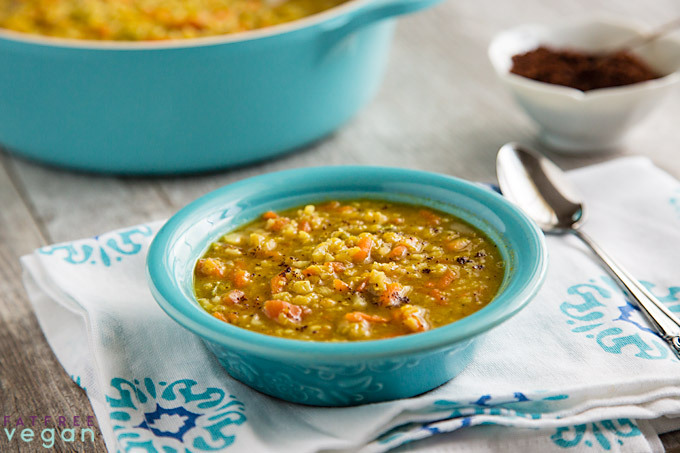 Be sure that you’re buying split red lentils; whole lentils take much longer to cook. Check the lentils for debris and rinse well. Put them in a large pot with the water, garlic, and ginger root and begin heating over high heat. While the water is warming, shred the carrot and chop the pepper and add them to the pot. Reduce the heat to low, cover, and cook until the lentils are tender, about 20 minutes. Keep warm. While the lentils cook, heat a large non-stick skillet and add the onion to it. Cook, stirring often, until the onion begins to brown. Add a splash of water if the onion sticks or browns too much on the bottom. 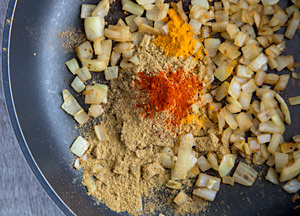 When the onion is a caramel color, add the cumin, coriander, turmeric, and cayenne and cook, stirring constantly, for one minute. Add the riced cauliflower to the pan and stir, scraping the bottom. Cook until the cauliflower is warm. Add the contents of the skillet to the lentils along with the tomatoes. Season to taste with salt and pepper. 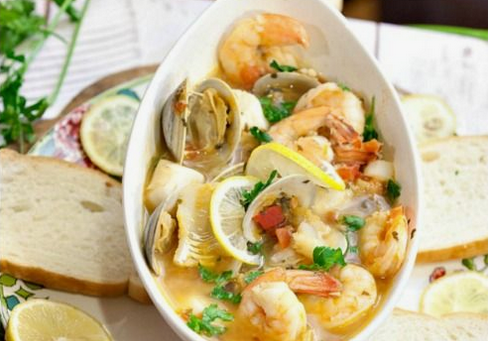 Cook for 5-10 minutes, stirring frequently, to allow the flavors to blend. Just before serving, stir in the lemon juice and garam masala. Ladle into bowls and sprinkle with sumac, if desired. Canned tomatoes and green chilies are made by several companies, primarily Rotel, which has several options including mild and original (fairly spicy). Use the one that fits your heat preference. If you'd rather, you can use chopped fresh or canned diced tomatoes and just increase the cayenne pepper. 12 ounces of frozen riced cauliflower equals about 3 cups of riced cauliflower made at home (probably less than one head of cauliflower). You do not need to thaw it beforehand. Nutritional info below is based on 4 large, 2-cup servings. Any size serving is zero points on the Weight Watchers Freestyle program. 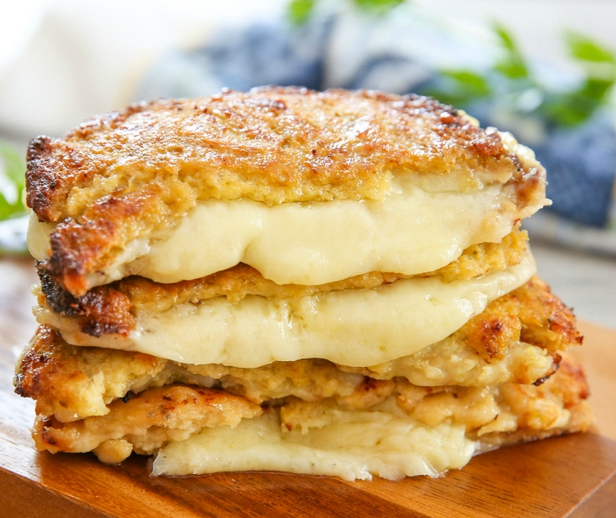 Related Posts of "Red Lentil Soup with Cauliflower Rice"